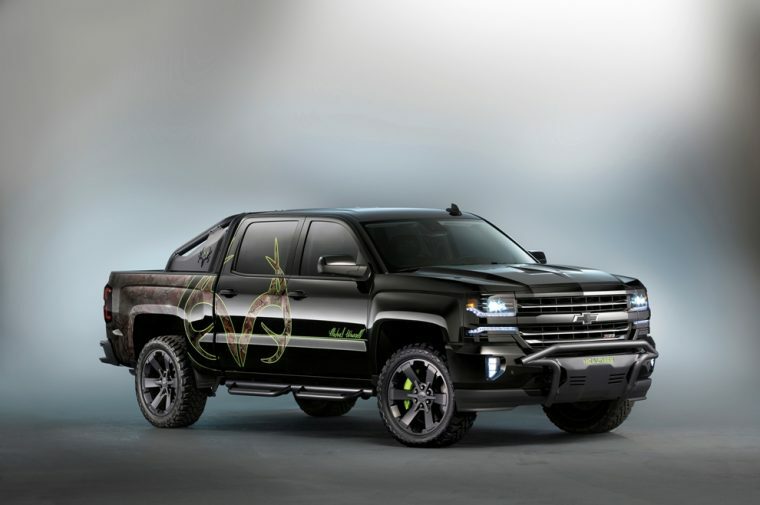 Earlier this month at the SEMA show in Las Vegas, Chevrolet unveiled a Chevy Silverado 1500 High Country truck that had been taken to the next level, thanks to a partnership with hunting gear company Realtree and the Outdoor Channel’s Michael Waddell, known as the star of Bone Collector. The Chevy Silverado is already a pretty rugged ride, thanks to its steel construction, and the Silverado 1500’s High Country trim has a spacious crew cab to bring along fellow hunters. It offers 4WD coupled with off-road tires, which can navigate uncertain terrain with ease. The whole truck is wrapped in a camouflage theme, highlighted with green Realtree Bone Collector graphics and Michael Waddell’s signature. The green highlights are used throughout the truck, such as on the cooler and tie-down points in the truck bed. Chevrolet Accessories’ latest off-road package has also been installed on the truck, which adds a front push bar, sport bar, and assist steps. 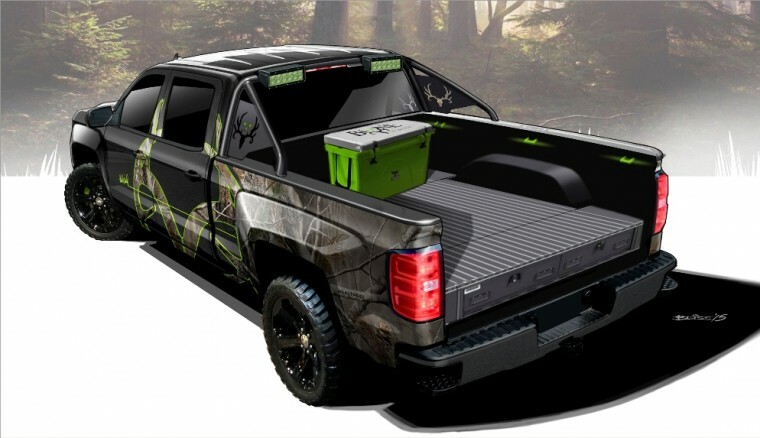 In the bed of the truck is a drawer system that raises the floor of the bed and keeps gear both hidden from prying eyes and secure during the drive to a hunter’s favorite spot. To finish off the look, the truck is equipped with a light bar, ambient lighting on the interior, and a unique instrument cluster. If you’re looking for a truck with a theme that is less hunter and more spy, check out the Chevy Silverado Special Ops Concept from SEMA.